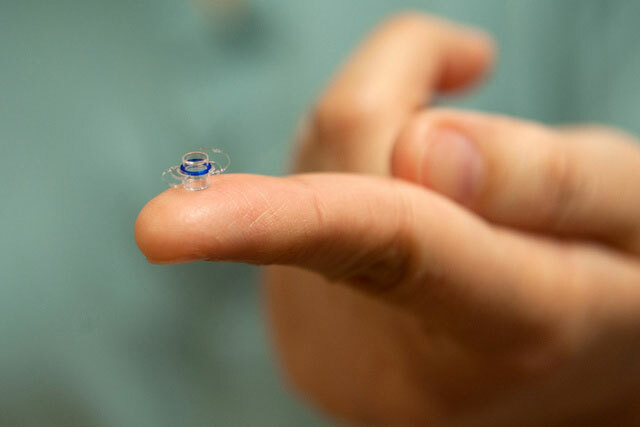 In 2012, UCI ophthalmologists Marjan Farid and Sumit Garg became the first in Orange County to implant miniature telescopes in the eyes of patients with macular degeneration, the leading cause of blindness among older Americans. The 4-millimeter telescope can restore a portion of vision lost to the disease. UCI’s Gavin Herbert Eye Institute is one of only a few facilities nationwide offering the technology. Read more here.